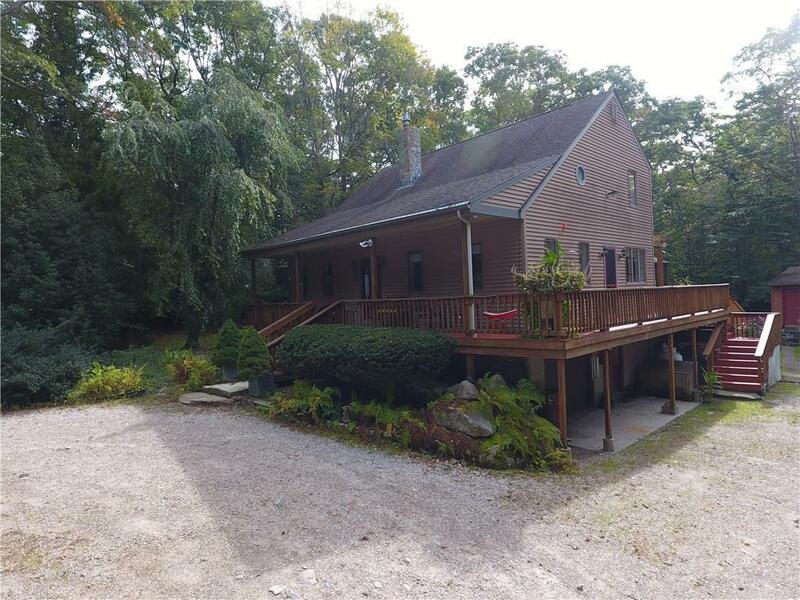 Set back on 3.25 wooded acres this well built one owner saltbox offers absolute privacy, yet is only 5 minutes to downtown Wakefield. The solid, custom home is surrounded by multiple outbuildings including a tall pole barn for boat or RV storage, a 24x12 woodworking shop, a green house garden shed and a storage shed. Built for outdoor living, the wrap around deck features a pergola and gazebo screen house. Inside, the open living room features a cozy gas fireplace and cathedral ceilings. There's a first floor bedroom and a lovely heated sunroom overlooking private woods. Country living just minutes from town!